You don’t want to create a YouTube channel to post pointless and weird videos. It takes a lot of time and energy to create YouTube videos and to bring it to the forefront, so it is important to use a YouTube video promotion service. You would definitely want your videos to reach millions of people and not just get stuck within a few 100 views. 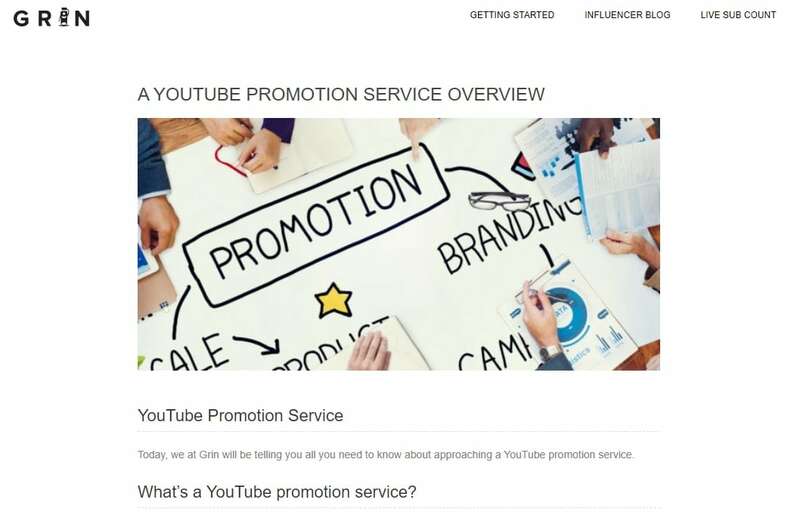 The YouTube promotion services are a highly effective tool for demonstrating your proficiency, creating your brand awareness, sharing information and facts, promoting events, engaging with the customers and for building trustworthiness. With several benefits of promotional services, have you ever thought of promoting your YouTube videos? 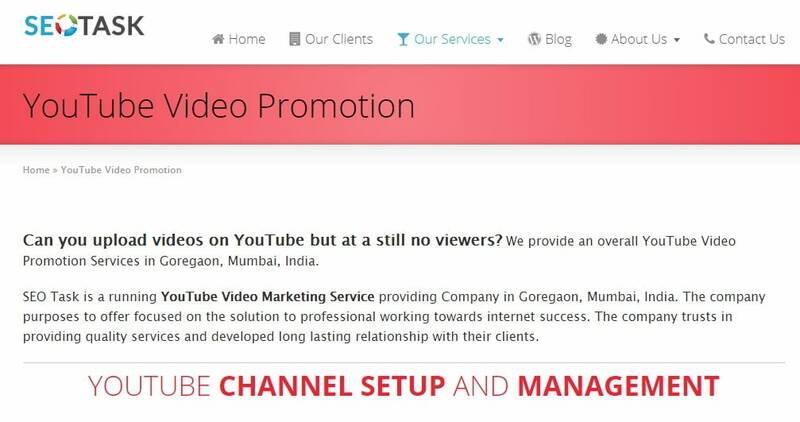 For real YouTube promotion of videos, here are 8 best YouTube video promotion services that you may consider. If you wish to successfully complete your project’s goals and deadlines, turn to the best YouTube promotional service, Fiverr. For real YouTube promotion of videos, you may choose from the premiere, standard and basic plans priced at $50 for 13 days, $25 for 10 days, and $5 for 9 days respectively. You just need to describe your gig, compare and select packages, check out the recommendations and reviews and start the YouTube video promotion service. There are various categories like digital marketing, graphic designs, video animation, writing translation, etc. under which you can tag your video. If you wish to garner traffic or increase the fan following, opt for the Push views real YouTube promotion services. It is a simple yet effective tool that works on a fair pricing subscription. Push Views never dig a hole in your pocket as you may keep changing your promotional budget each week. The best part is you are not fooled by the gimmicks to overspend when you are using Push Views YouTube video promotion service. Are you disheartened to find no views in your YouTube video? SEO Task is one of the best YouTube promotion services that offer focused solutions for the professionals targeting success in the world of the Internet. SEO Task is rapidly growing and keeps you in advance curve of the business with endless updates and releases. It helps with incredible reach, high engagement, increased traffic, improved SEO, trust building, and affordability. Grin is a real YouTube promotion service that helps you with shoutouts from superior YouTubers, criticism, and opinion from your counterparts and other YouTubers, partnerships with superior YouTubers and experts for a range of video editing/production. Shoutouts and collaborations can easily help new individual video creators to grow. 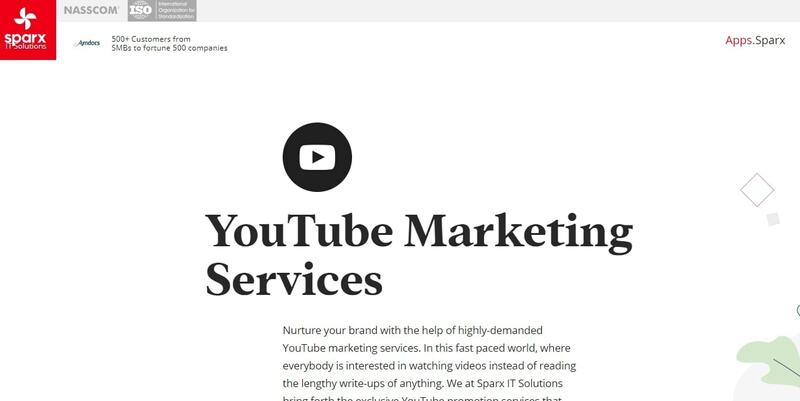 If you want your YouTube video channel to look professional, you may hire designers, artists, motion editors, and audio technicians on our Marketplace and pay them. One of the best and most reliable YouTube video promotion services, Video Promotion helps to bring in online engagement, target the viewers and creates exposure for your video to help it in becoming viral. 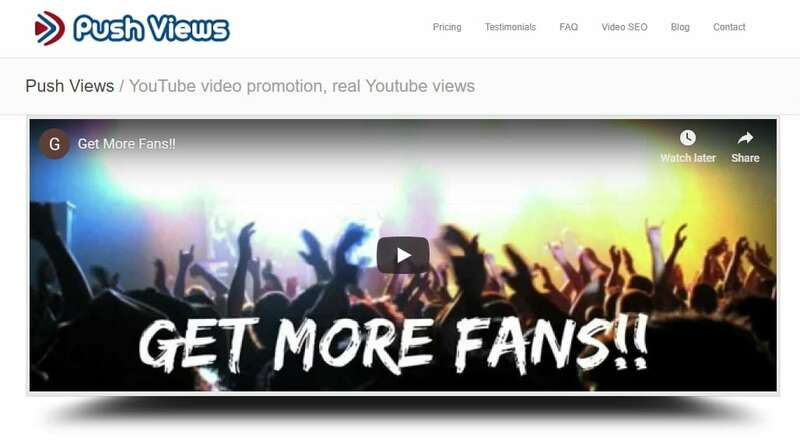 Video Promotion helps to promote your videos on YouTube as well as other display networks and partners. You can promote your video in just 3 easy steps. Enter the video URL you wish to promote, select the number of views you want and the country you want your video to be played. Then, use PayPal or the other available options to pay for the views and finally submit your order and wait for the representative to call you. The video is live for the viewers until it does not reach the number of views you have paid for. 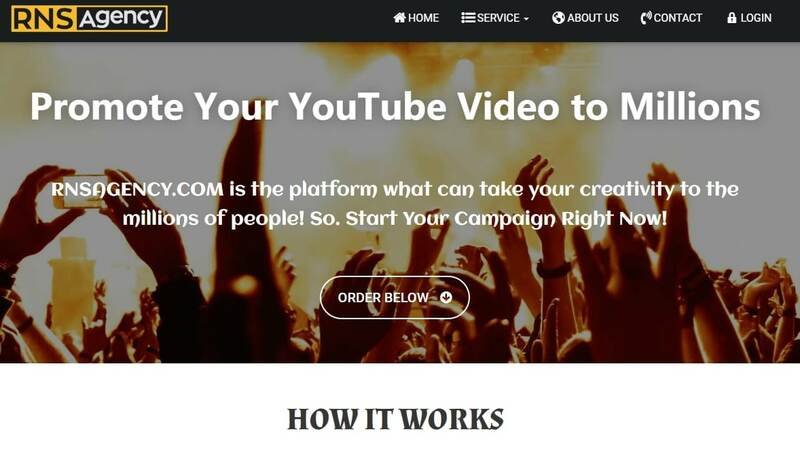 RNS Agency is one of the easiest YouTube promotion services providers as in just 4 easy steps you can promote your YouTube video with this real YouTube promotion tool. Just sign up on the RNS website to promote your video. You need to point the video that you wish to run the ad campaign on and select the number of audiences you are targeting. Your video is promoted across the globe to the relevant set of viewers who engage with your video and make you a successful and popular YouTuber. There are 6 packages with several payment options for you to choose from. Juss Russ offers two packages for real YouTube promotion. The basic package is priced at $49.99 and includes 1000 new views. Your videos get featured on their Twitter handle and also on Juss Russ radio. The video blast is for around 500 subscribers. The premium package is priced at $149.99 and includes 5000 views. Apart from the views, you receive comments and likes, your video is featured on Juss Russ Twitter handle, Radio, and on Artists sounds. Juss Russ places your content in strategic places to locate your target audience. With Sparxit Solutions YouTube promotion services, your video searchability on this most popular platform is effectively enhanced. The YouTube video promotion service offered by Sparxit Solutions allows you to boost your YouTube video and make it a brand amongst the users. The effective and powerful services help you out to appear more prominently in the YouTube search results. Now, that you know how important YouTube video promotion services are, you may opt for anyone from the above list of real YouTube video promotion providers to enhance your video and garner relevant viewers, likes and comments. Increase the awareness of your brand and/or product among the masses by opting for the right YouTube video promotion service.